Hello friends! Like many of you, I’m guessing, I’m diving head first into reorganizing my house for a fresh start. I’ve left a trail of unfinished (and some not even started!) projects behind me as I transition from the holidays into the new year, the contents of which were scattered around the house in shoeboxes, brown paper bags, and plastic bins. 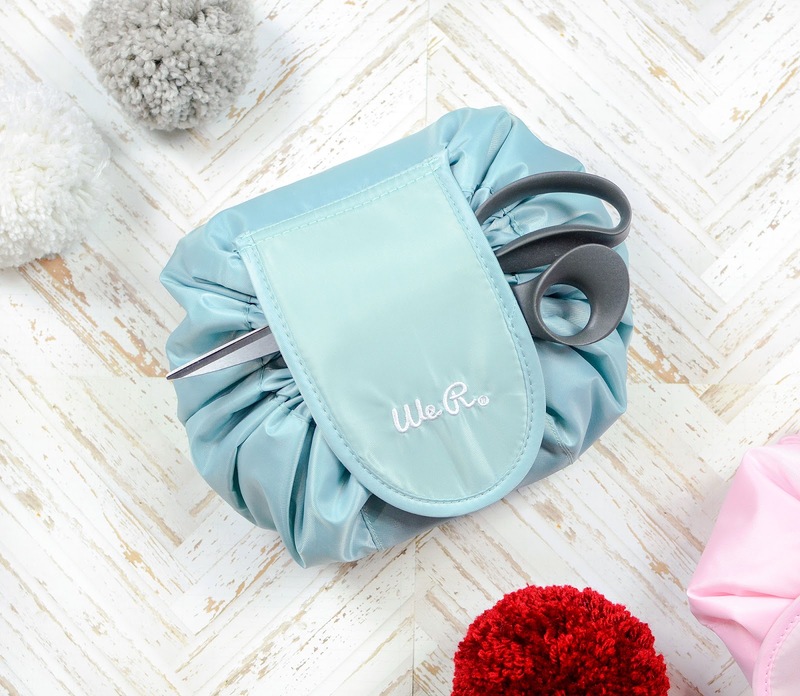 I was more than thrilled to receive a couple of We R Memory Keeper’s new Bloom Pouches, which made storing some of these project materials incredibly convenient. I definitely found myself wanting to do more DIY projects as 2018 drew to a close. This was thanks in part to the holiday decorating fever I get every year, but also thanks to acquiring a few new WRMK tools that make DIY easy and fun. 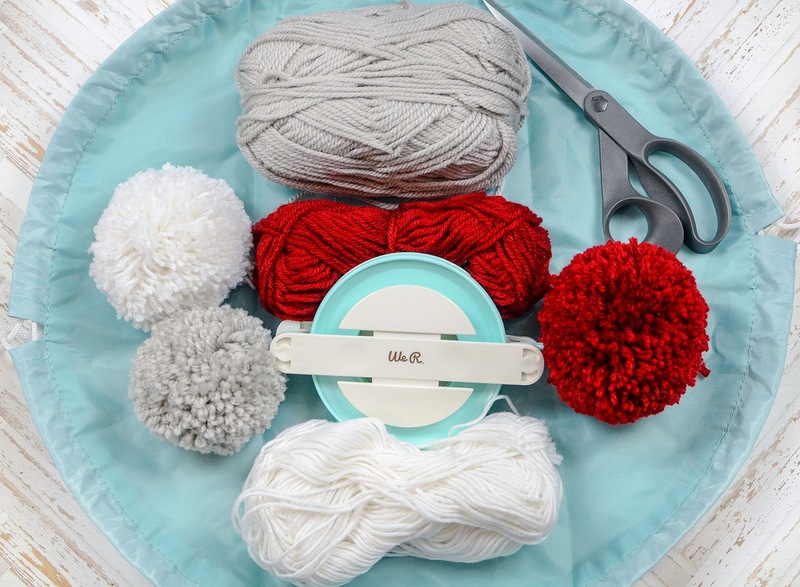 One of those tools was the Jumbo Pom Pom Maker. 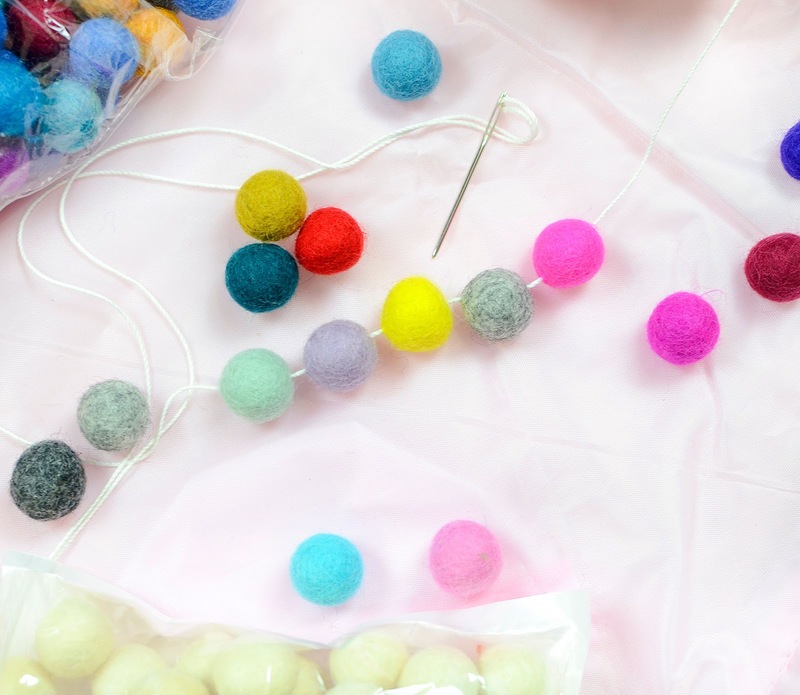 Around mid-November I decided to a start a pom pom garland. I got 3 pom poms in and had to put it aside as the holiday madness closed in. Yet, I know this is something I still want to have for next year and I can work on it once things settle down, usually around mid-January. This is where one of my lovely Bloom Pouches comes in. 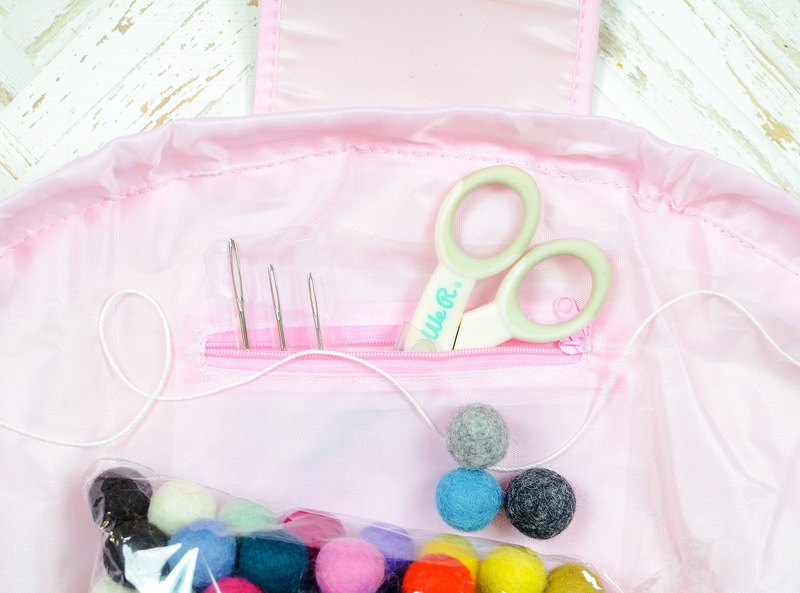 I can store my skeins of yarn and the Jumbo Pom Pom Maker in the pouch! The pouch opens up flat so I can see all of my supplies and grab them quickly. Then it cinches closed and I can tuck my large fabric scissors under the closure flap for transport. (I tend to need those scissors often, so I don’t want to close them up in the pouch.) I can carry the pouch from the dining room table to the couch to the car. 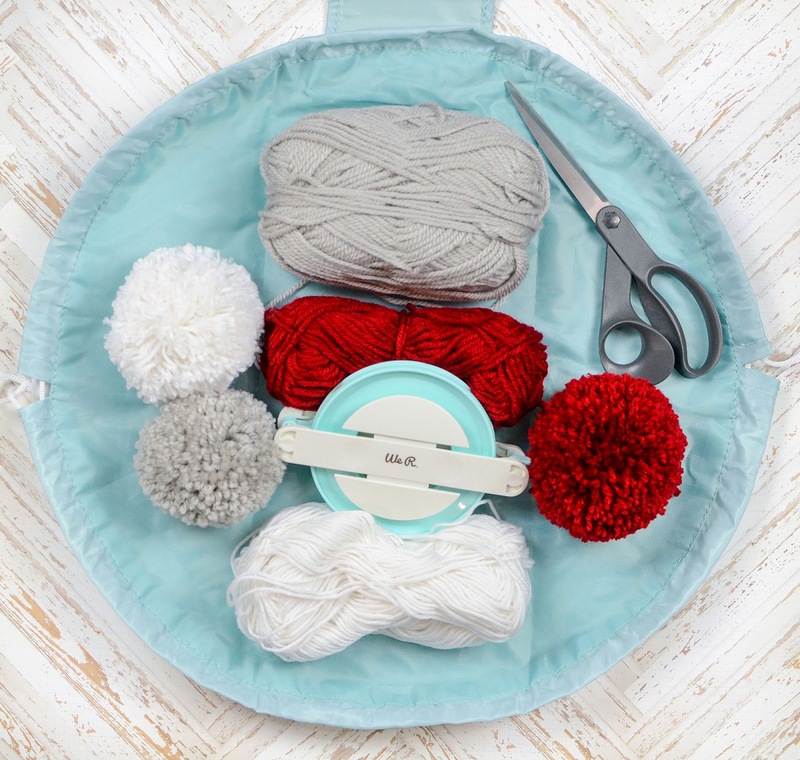 It’s easy to bring this lot to the park, too, so I can work on the pom poms while my kids play. When we’re done, or if we have to make a quick bathroom run, everything closes back up quickly and simply. 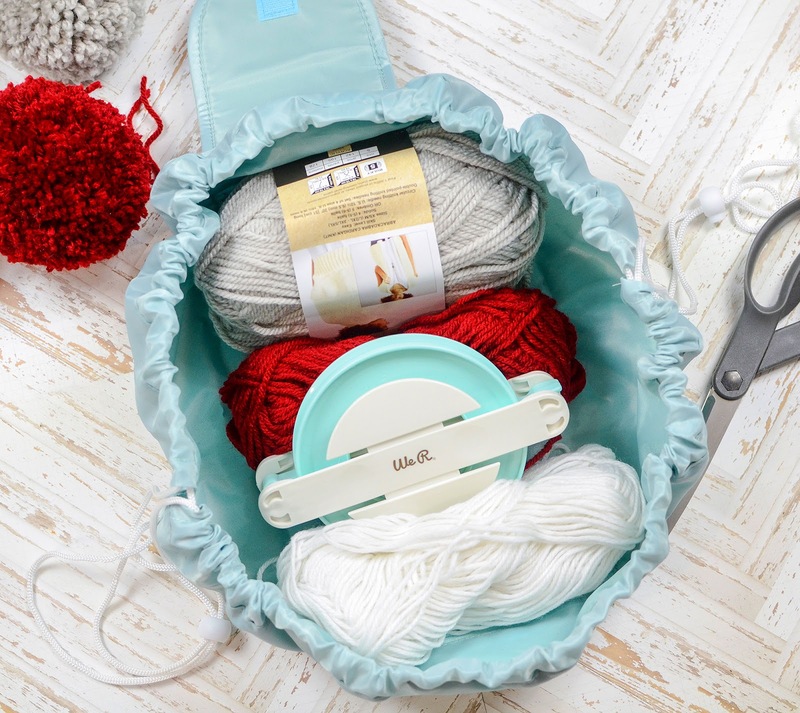 This won’t be a project I can work on every day so I also appreciate that the pouch closes up neatly and can be tucked away in a closet or in a basket until I’m ready to get back to it. Another project I wanted to make but ran out of time for was a felt ball garland. 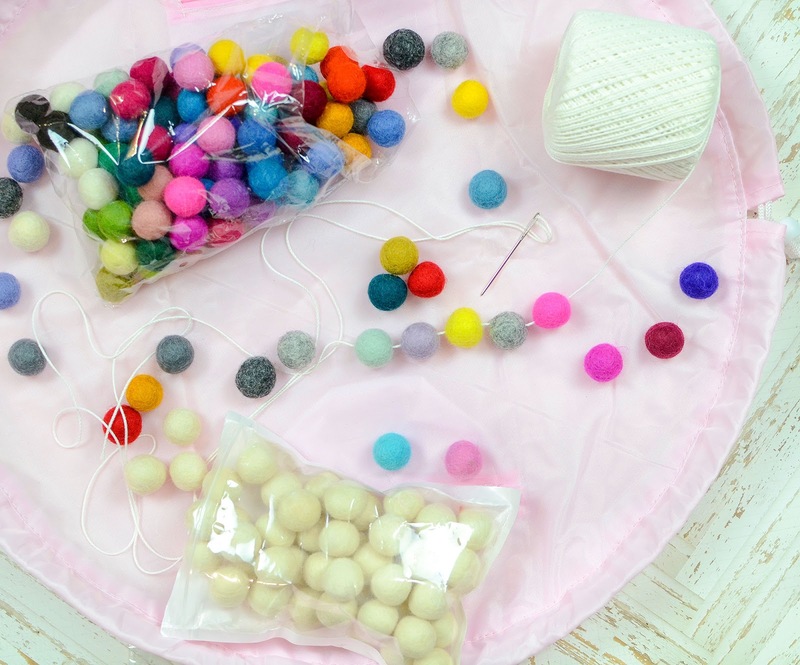 I bought all the felt balls to create it, with visions of quiet nights in front of the Christmas tree, a candle burning, a podcast playing…and then reality hit and there were almost ZERO quiet nights in December! I decided that I’d still like to make a garland, but I’ll make it suitable for keeping up year-round. This, too, will be a project to visit once life returns to normal, post-holiday. It’s all stored conveniently in my pink Bloom Pouch, too! This folds up and transports just as the other pouch does and I do plan for some quiet nights later this month. 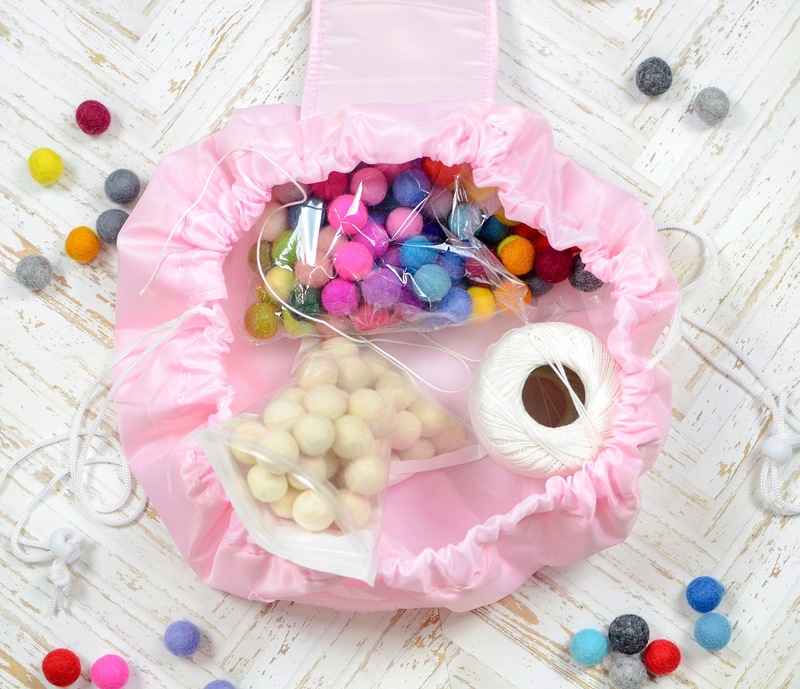 With the felt balls, as well as the twine on which I’ll string them, all snug inside the pouch, I can take this to the living room or the park, as well. 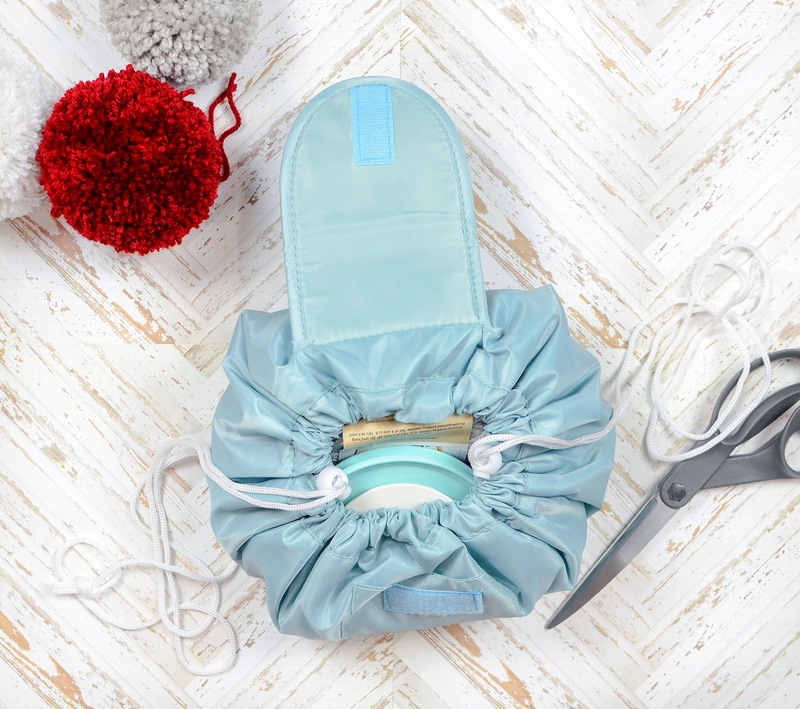 I’ve utilized the small interior zipper pockets to store my needles and a pair of scissors. 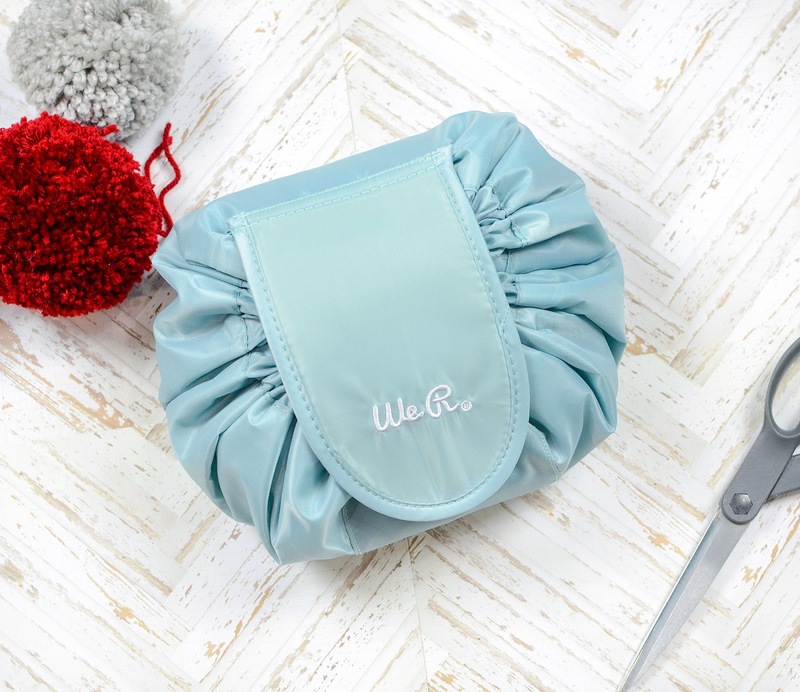 It’s so handy, especially for the needles so they don’t get lost. I have a feeling that this may not be an activity that I can finish in one sitting, but there’s plenty of room in the pouch for the work-in-progress garland, and that means I can keep this with my pom pom project pouch, both in a basket next to the couch to pull out when I have some free time. 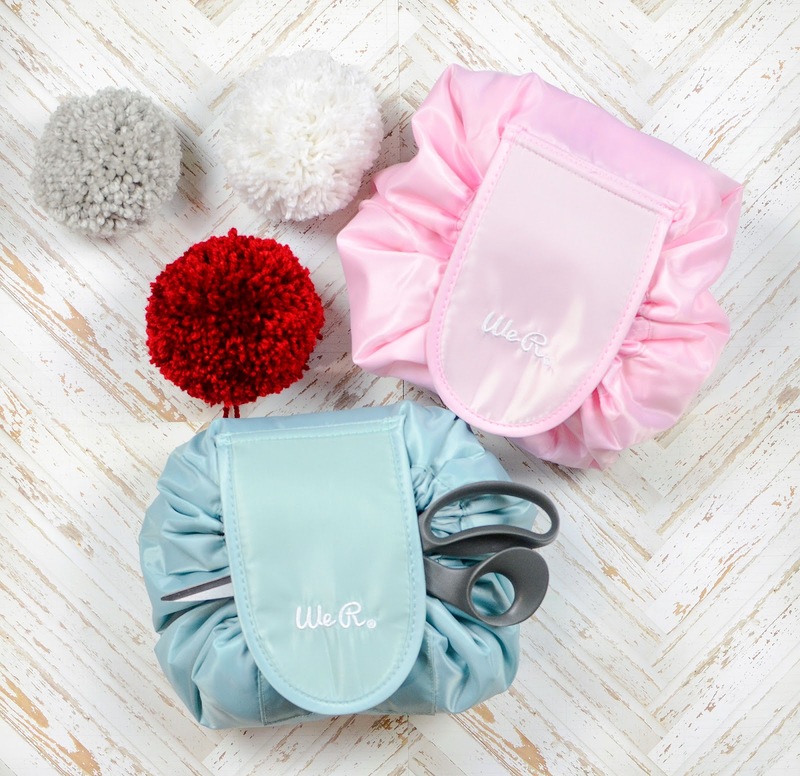 If you can’t tell, I’m smitten with the Bloom Pouches! 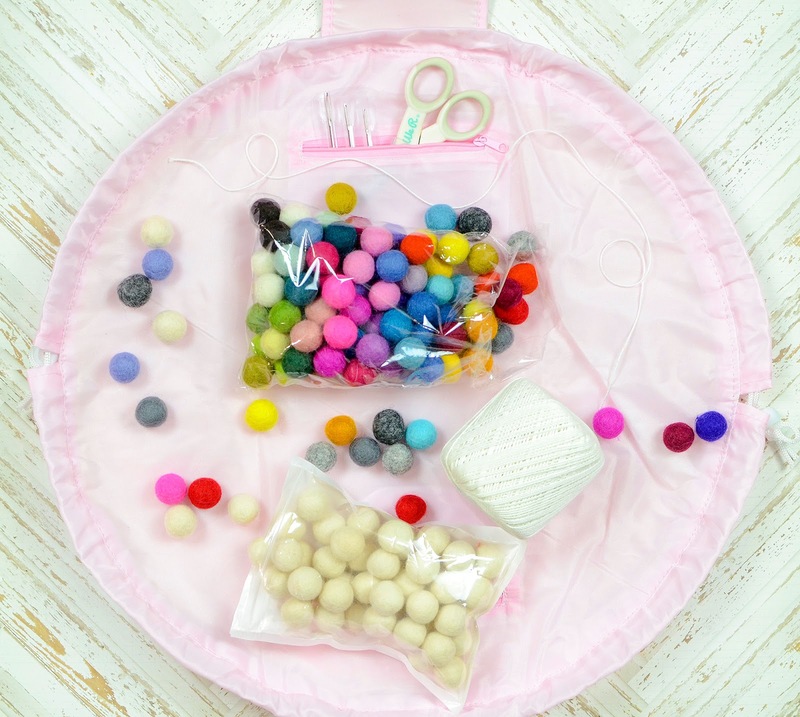 I can see using them for all kinds of things, too, not just craft projects. For now, though, they’re making my life a little bit easier and a lot more organized, corralling some fun projects I can’t wait to finish up.